Using a sperm bank can quickly break the bank. That's why a growing number of women have turned to the underground, online world of free sperm donation. There are websites such as knowndonorregistry.com (formerly freespermdonorregistry.com) that offer a list of hundreds of men willing to donate free sperm to thousands of women eager to conceive. "It's a weird blend of Facebook, Match.com and a traditional sperm bank," said Tony Dokoupil, a reporter who spent months investigating the subject for a Newsweek cover story. "You get all [the] medical information, about the health and fitness of this person you might procreate with." After finding a "match" online, women and donors often arrange to meet in public places such as a coffee house where the exchange takes place. The donor generally uses a sterile cup to make the donation in the bathroom. He then hands the sample to the recipient, who can inseminate herself using an "instead cup," a disposable menstrual cup that fits onto the cervix, or she can take the sperm home or to a nearby hotel to inseminate with a drugstore syringe. "Having a child is a big deal, and there's a lot of people out there saying, 'I don't want to have a child with somebody that I haven't talked to, that I can't meet face to face,'" said Beth Gardner, who founded the Free Sperm Donor Registry website. Gardner also emphasized the importance of having written agreements and knowing the health of the donor. "Make sure that everybody is writing down and putting their name on what it is that they're agreeing to do," she said. "We also highly encourage - can't even say how much we encourage - STD testing." Fertility experts and those who monitor the websites caution women to be careful about whom they are meeting on the Internet. "Out there online, not everything is as it represents itself to be," said Dr. Jessica Brown, a fertility specialist in New York who has helped dozens of women get pregnant. It's important to "weed out men who may be doing this for bizarre reasons who may have some type of psychiatric illness or personality disorder," she said. 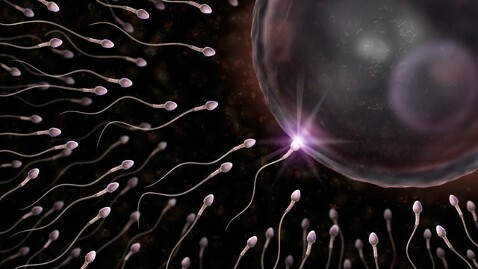 Cost: A vial or unit of sperm ranges from $200 to $700. Insemination procedures start at $300 on average, with in vitro fertilization costing as much as $15,000. Identity of Donors: Donors are anonymous. Open-ID donors allow their offspring to contact them once they are 18. A Directed Sperm Donor is someone selected by the woman or couple who voluntarily donates his sperm. Screening and Tests: Tests are conducted for infectious diseases, STDs and genetic problems. Sperm is shelved for six months and then tested again before it's available to recipients, as HIV and other STDs can take up to six months, after infection, to be detected. Some sperm banks conduct psychological screenings to detect pathological traits. Parental Rights: Recipients can ask donors to sign an agreement relinquishing parental rights. These agreements might not be legally binding. Screening and Tests: Donors and recipients are responsible for their own STD testing and screening.